Here is a well maintained and updated home in Tonto Verde. Two bedrooms, den, Multi-purpose room, 2 and half baths, great room off the open kitchen, breakfast room, and work shop in the 2 car garage plus golf cart garage. Granite counter tops thru out, engineered wood & tile flooring, refinished cabinets with a whole house lighting system. AC units replaced in 2017-18 back yard all fenced, new front court yard with wall and gate. Updated kitchen appliances, walk-in pantry, wood burning fireplace in great room, and vaulted ceiling. 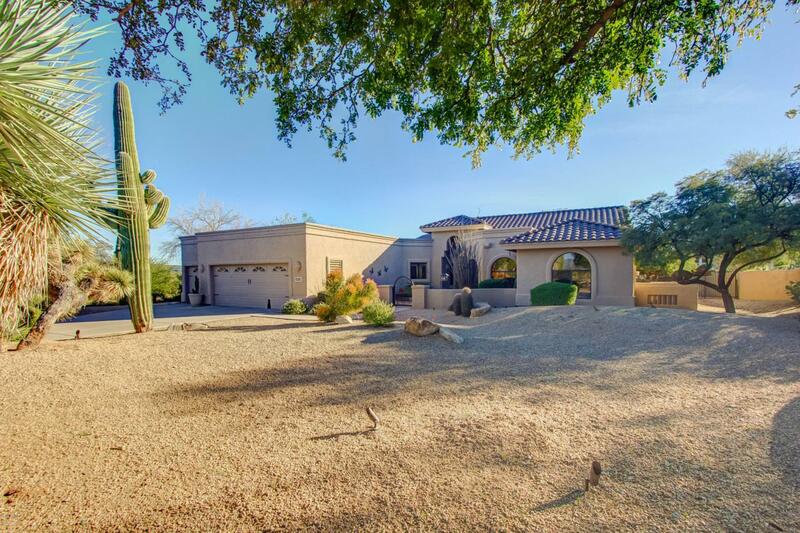 House backs up to a 90ft wide arroyo with 4-Peaks view and privacy. Fans, wooden shutters, plenty of closet space.Sellers would lease back the home while they build a new home for approximately 8 months. Great 4-Peaks views. Call for showing inst - Dogs ! !